Nothing will roll off here! You will occasionally find some rubble in your model building landscape, which has to be transported off course. 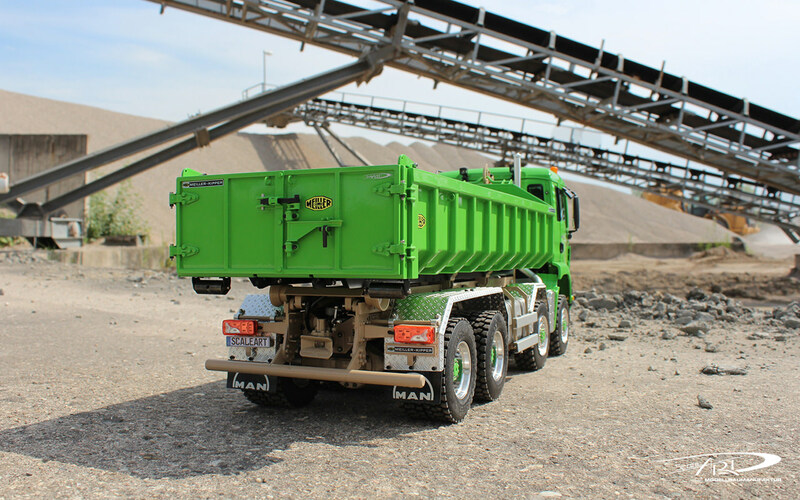 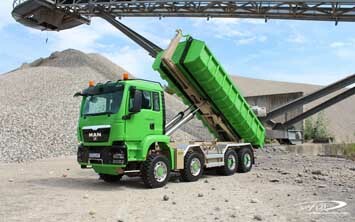 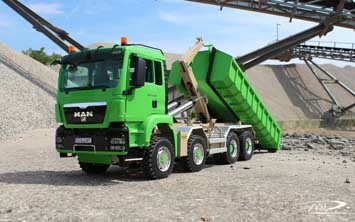 With our roll-off tippers, you can transport the dirt away from the spot. 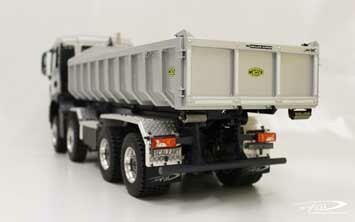 The rubble is finally transported away from the construction site with a quality model by ScaleART. 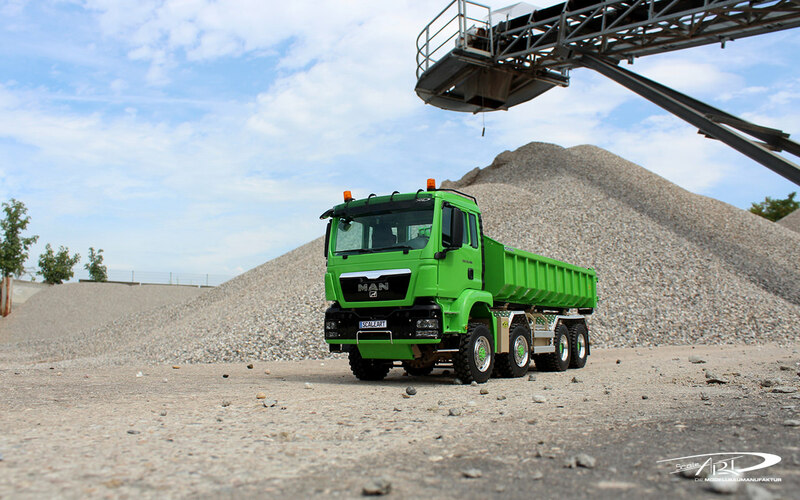 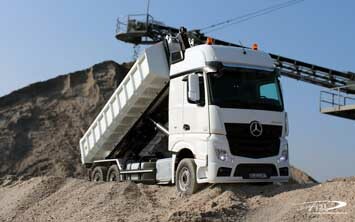 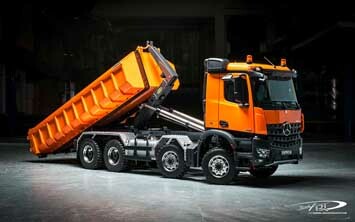 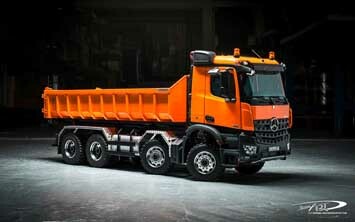 Our roll-off tippers feature stability and attention to detail that will warm your heart. 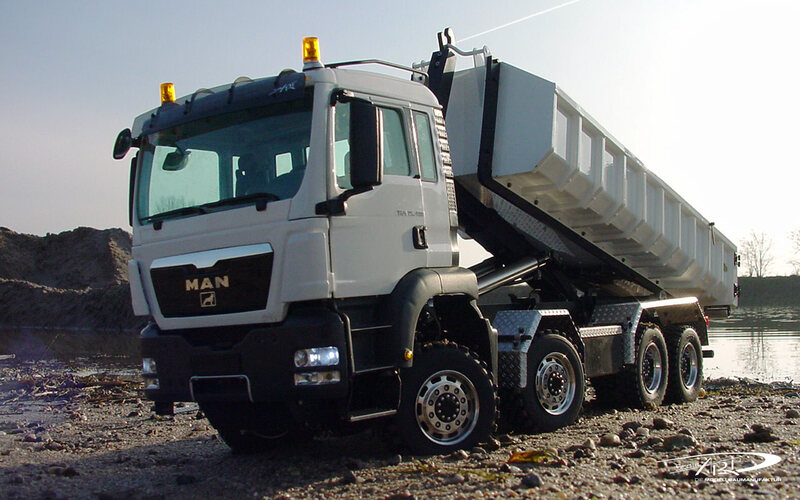 Our high-quality materials let you remove the rubble out of the way with stable lifting power. 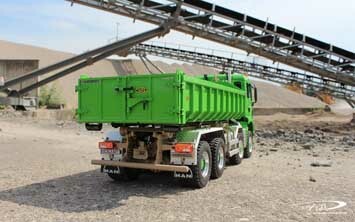 You have the option of dropping off the trough directly on the construction site and picking up a trough that is already fully loaded with rubble and transporting it away. 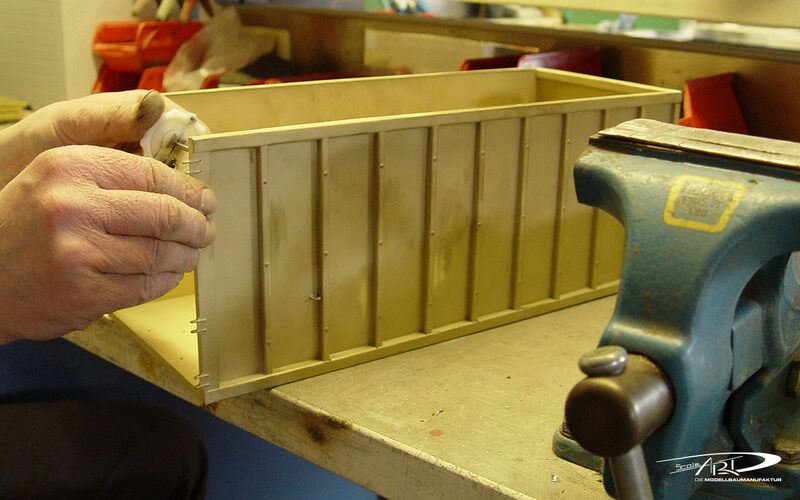 The roll-off troughs for our roll-off tippers are made of 0.6 or 0.8 mm sheet brass and are therefore able to take on even heavy rubble. 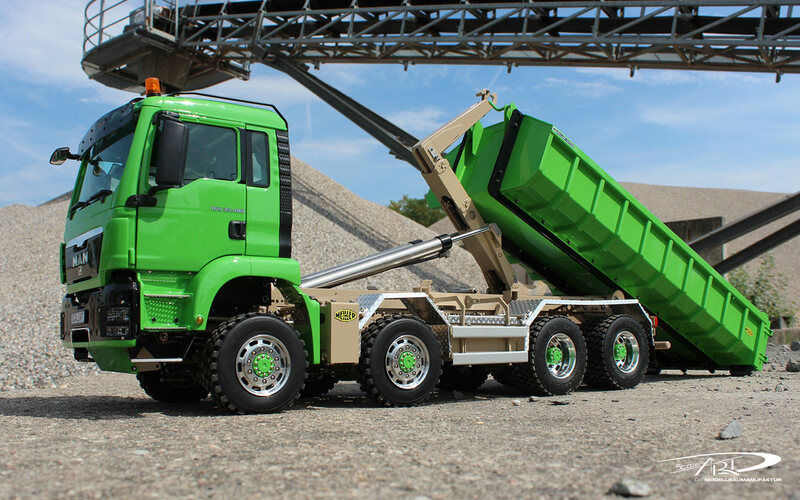 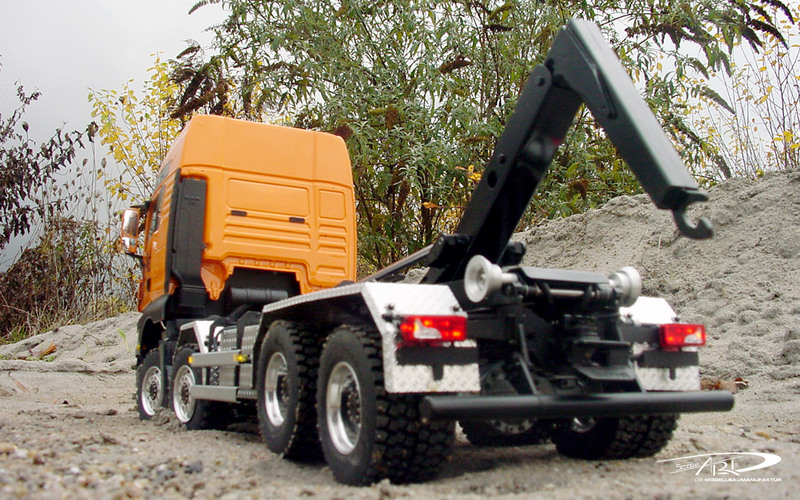 With a roll-off tipper body, which is based on the original from Meiller, you can truly clear ship on your model construction site. The body is made of aluminium, brass and stainless steel, according to your quality requirements. 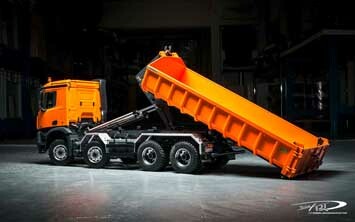 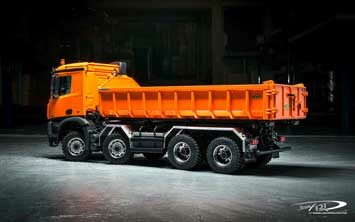 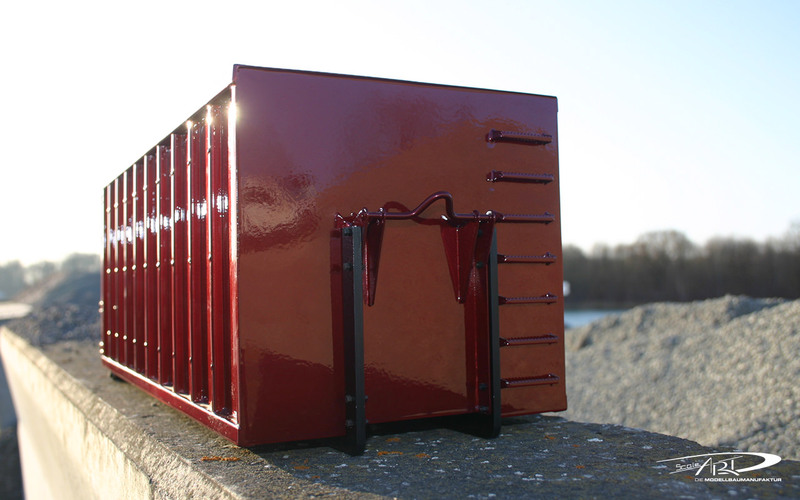 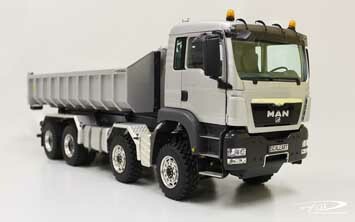 The ScaleART roll-off tipper body mostly has an anodised coating, all other parts are coated with a high-quality paint. 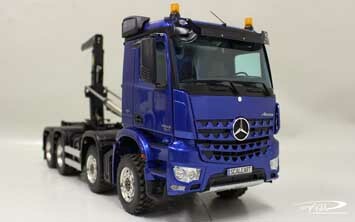 This way, you get a model with a beautiful design and of course our models also come delivered with excellent stability. 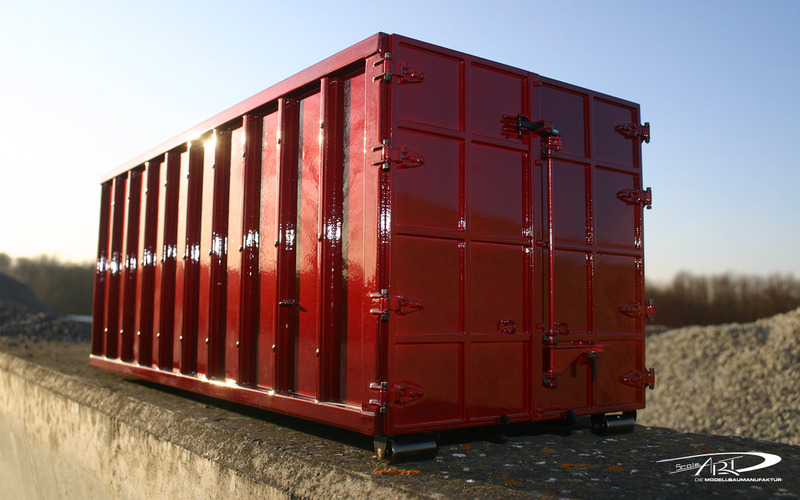 Two stainless steel lifting cylinders and an additional lifting cylinder are available to remove up to 7.5 kg of rubble out of the way. The following troughs are available for our roll-off tippers: flat and high roll-off troughs with portal doors, tailgate or combination lock; construction material trough with removable side walls; construction material trough with Palfinger loading crane as a self-sufficient working unit. 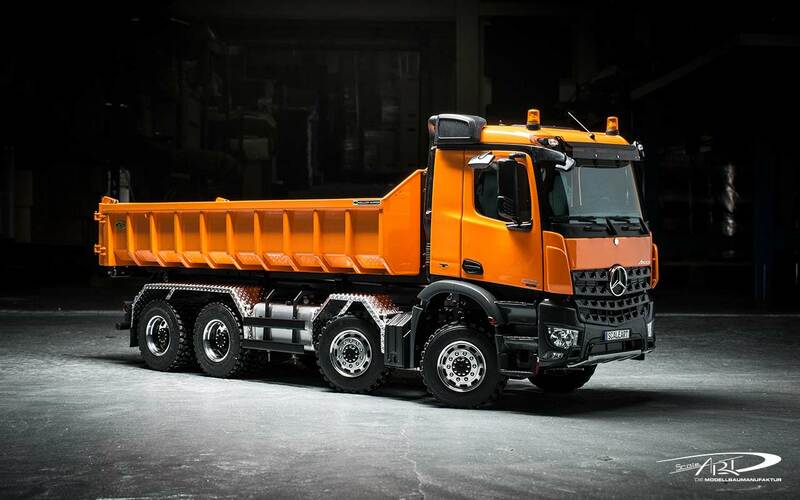 Available with the MAN TGS-M or Mercedes Benz Arocs construction site cabs as well as the MAN TGX-XXL or Mercedes Benz Actros long-distance cabs. 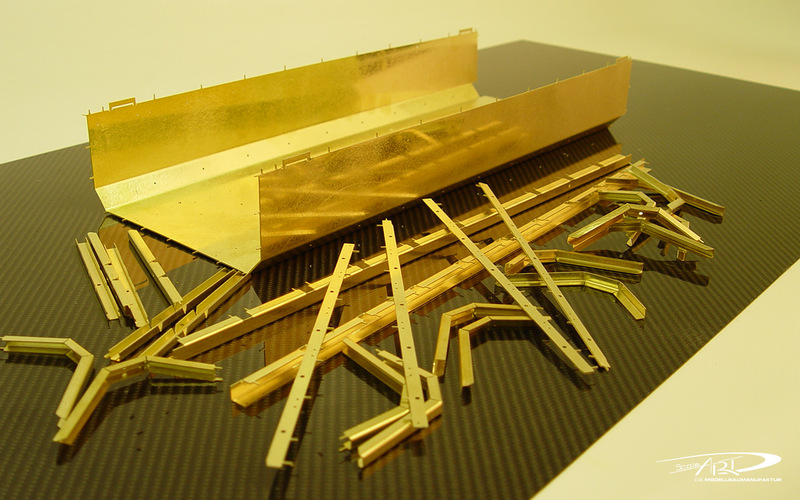 Hydraulic system from our in-house production, with approx. 18 bar hydraulic pump in the vehicle tank and a total of 4 stainless steel cylinders. 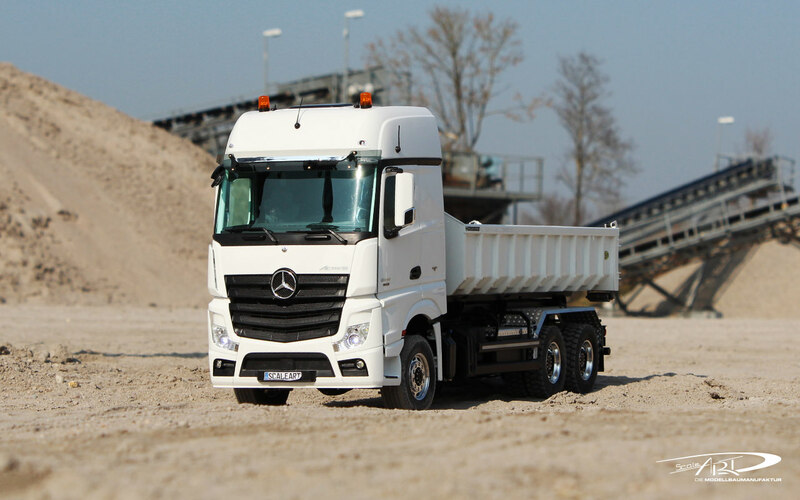 Original MAN Euro mudguards or Mercedes mudguards, as well as round aluminium or checker plate mudguards are also available.